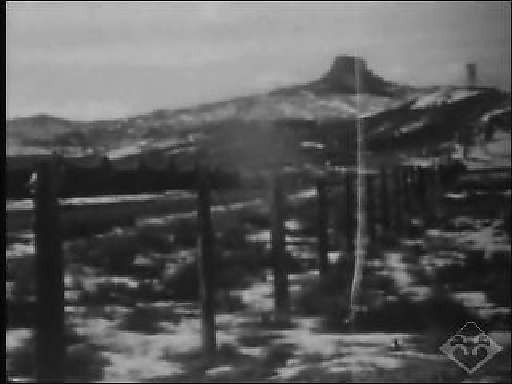 Color amateur footage documenting life in Heart Mountain concentration camp, Wyoming by Naokichi Hashizume in February 1945. Composed of home movie clips of Japanese Americans engaged in a variety of activities, including people gathering at mess hall, laundry in industrial sinks, sewing and knitting, paper flower making for a wreath, mochitsuki from steaming rice to pounding into mochi to forming mochi, and a winter carnival. There is also footage of exterior and interior views of barracks, windstorms, basketball, girls dressed in kimono playing koto, children playinig in snow, and people playing the board game Go. Some footage in reverse with children on slides, bike riding and a fire engine speeding by (23:18). Credits: Naokichi Hashizume Collection, Gift of the Hashizume, Uemura and Ouchi Families, Japanese American National Museum (92.18.9). Preserved and made accessible in part by a grant from the National Film Preservation Foundation. HNRC — Atualizado em Jul 18 2018 12:09 p.m.